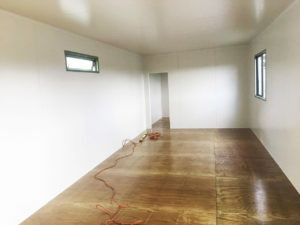 Do you need a portable room? We build to order. Custom size, custom design, custom purpose. We can cut and install windows and doors for aluminum joinery without any issues. 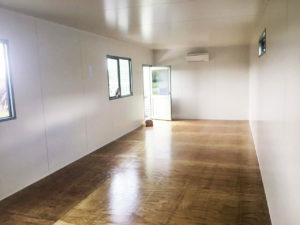 We can add any partitions to create rooms where ever you need them. 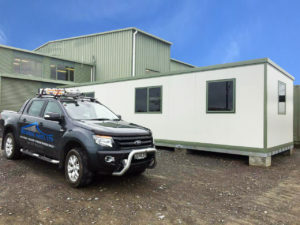 Perfect for temporary accommodation at a house during renovations, or portable office on a work site. Maybe a lunch room to protect your staff from the elements. The materials are great for insulation, but also durable and easy to repair no matter the environment. We can build on new or existing platforms. 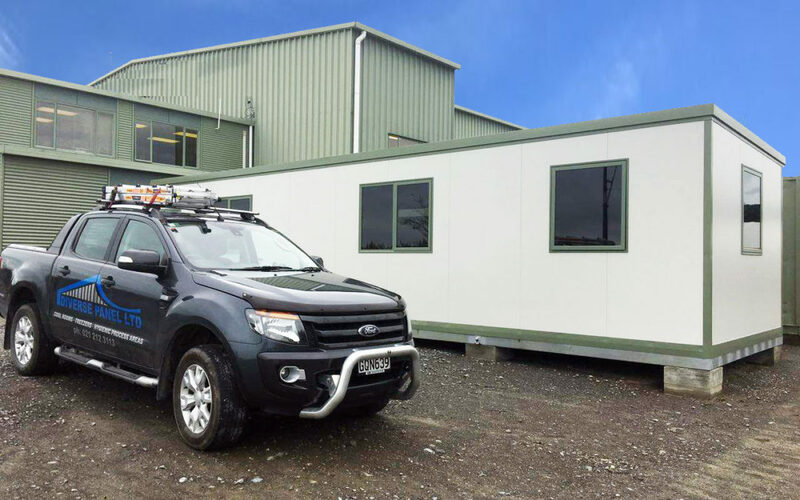 Due to the nature of the insulated panel, the finished product is relatively light weight compared to other types of building materials. Using crane hooks, or forklifts, you can easily load these on and off most trucks and trailers. Extra features like a heat pumps, lighting, plumbing and power points can be easily added. Put in a kitchen unit or fixed desks or secure storage to keep things organized and in place during transportation.